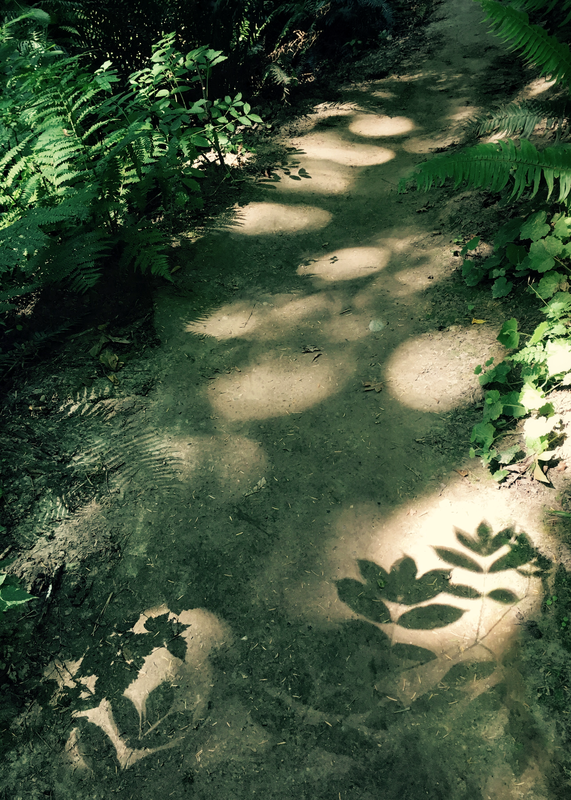 My kids and I found a beautiful path in the forest the other day, and I kept stopping in my tracks because the patterns of shadows and light spots were so amazing. My kids of course wanted to keep going, as kids tend to do, so I took a few photos to revisit later. I know it’s not a new concept: the meaning and symbolism of shadows and sun, darkness and light, but I am fascinated by all the unique nuances in between those opposites….so like ourselves. We don’t get to choose: we get, and are made of, both shadows and light- and we need both.